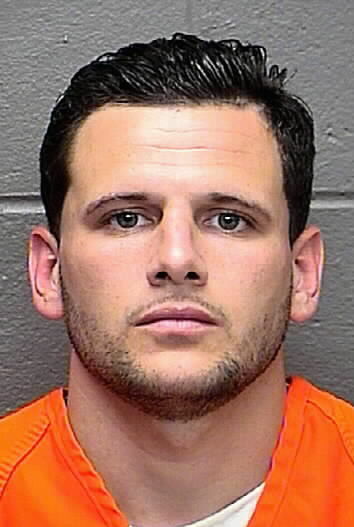 MAYS LANDING – A 29-year-old Egg Harbor Township man was sentenced to twenty (20) years in prison today for the 2013 attempted murder, in connection with home invasion robbery, against a 92-year old Egg Harbor Township man, Atlantic County Prosecutor Damon G. Tyner announced. On Dec. 17, 2013, at approximately 8:52 a.m., Egg Harbor Township police responded to a residence in Tower East Mobile Home Park, in the Cardiff section of the township, and found Charles Sweetman suffering from stab wounds. Sweetman was treated at the scene by members of the EHT Ambulance Squad and AtlantiCare Paramedics, and transported to the AtlantiCare Regional Medical Center—City Campus Trauma Center for treatment. Sweetman’s vehicle was stolen from the scene by the perpetrator. An intensive multi-agency investigation mobilized by the Egg Harbor Township police Department led to the arrest the same day of Robert J. Bilhardt, now 29-years-old, of the Tower East Mobile Home Park, Tremont Avenue, Egg Harbor Township. Bilhardt’s arrest was made without incident in the Villas section of Cape May County by Egg Harbor Township Police, with the assistance of the Cape May County Prosecutor’s Office, the New Jersey State Police, and the United States Marshall Service. Bilhardt was charged, processed, and lodged in the Atlantic County Justice Facility in lieu of $350,000 full cash bail set by Municipal Court Judge H. R. Switzer.  Possession of a weapon by a convicted felon—a 4th degree crime. On Wednesday, March 29, 2017, Bilhardt pled guilty to all criminal counts before Atlantic County Superior Court Judge DeLury. Today, Friday, May 5, 2017, Judge DeLury sentenced Bilhardt to a total of 20 years of incarceration in New Jersey State Prison. Pursuant to the No Early Release Act (NERA), Bilhardt must serve 85% of the prison sentence— 17 years before becoming eligible for parole. Assistant Prosecutor Kathleen Robinson represents the State in the matter.